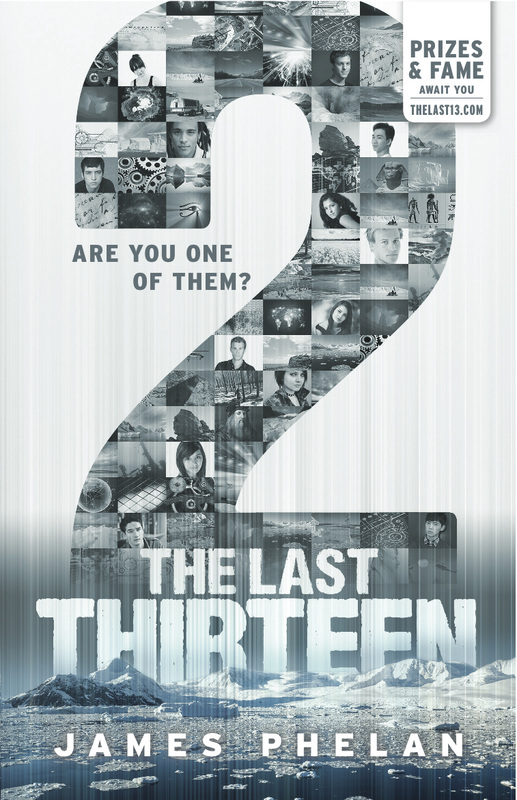 THE LAST THIRTEEN is a 13-part serialised thriller series for young readers (aimed at ages 8-15) and counts down from 13 to 1... this book, "2", is the 12th book in the series. At the end there is only—darkness. With only days left in the final countdown, Sam and Eva must brave the dangers of Antarctica to rescue Alex and find the twelfth Dreamer and Gear. As the world plunges further into chaos, the last 13 prepare to fulfil the prophecy. But all is not as it seems. An impossible, amazing discovery underneath the ice will bring them all closer to the end of the race, but with betrayal on every side, how can they make it out of there alive? Sam must unite the last 13. Time is running out. A cursor blinks on the dark screen, bright, flashing. My breath fogs in front of me and I shiver again in the darkness. ‘What does it mean?’ a voice asks. I turn away from the computer screen. like he’s just come through a blizzard. There’s a shovel in his hands. He’s heaving in deep breaths, like he had to dig his way through endless thick snow to get here. I look from Sam to the computer. The cursor still blinks rhythmically as the file downloads. The screen shows the download is thirty-three per cent complete. I shrug. ‘I’ll stay behind. Come get me tomorrow.’ I don’t look at Sam, I just keep watching the computer. The file I am waiting for is a map of the area, detailed, showing the geography of the vast region. The download via satellite is slow. ‘I’ll be fine, Sam, really. You go. I’ll stay and do this.’ Sam is silent. Outside the communications room, I walk down a hall that wraps around in a gentle curve. I find Sam standing by the outside doors with his back to me. He’s motionless, facing the doors like he’s waiting for something. He swings around, and before I can say anything more, he hits the side of my head with the shovel. I wake up with a throbbing headache. It feels like my whole face is swollen and on fire. I wince and that makes the pain in my head even worse. I realise everything is moving, ever so slightly, back and forth. And I realise something else— something’s not right about what I can see . . .
I’m looking at the computer terminal but it’s the wrong way up. I can feel my ankles are tied together. I can see my wrists are too, dangling uselessly out in front of me. Looking down—up—at my feet, I see the rope around my ankles is lashed over a big hook in the ceiling. I’m hanging from my feet upside down, trussed up like a carcass in a cool room. I was working at the computer, downloading something …Sam came in and said we had to go and then…then what? My head throbs as Sam begins to drag the chair across the hard concrete floor, the sharp screeching noise knifing into my skull. The sound stops abruptly, and I wonder why Sam is now in the middle of the room and not next to me, helping me down. Isn’t he dragging the chair over to stand on and cut me free? He sits down, facing me. I look at him. We are face to face, not far apart, only I am still upside down. ‘Alex, this is important. Don’t waste any more time.’ What’s happening? ‘You tell me,’ he says. ‘Get me down from here,’ I say through clenched teeth. the binds, swaying under the hook that has me hung from the ceiling. ‘Stop fooling around, Sam! Get me down from hererightnow,orsohelpme,whenIdogetdown…’The blood is pounding in my ears, my head feels heavy, my skin flushed and hot from hanging upside down. ‘When you tell me where—’ Sam says evenly. A muffled explosion sounds from outside, in the distance. Dust drifts down from the ceiling. Sam is silent. I struggle against my wrist binds, the movement rocking me from side to side as I hang there, like a pendulum in motion. ‘I, I was . . .’ I concentrate. Faded memories start to swim around my aching head. Something’s not right. Why’s he doing this? How did I end up here? The shovel! It was HIM!